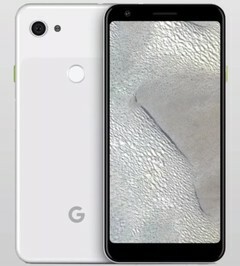 Although the upcoming Pixel 3 Lite will be a more affordable alternative to the Google Pixel 3 flagship, a video review that has just surfaced online claims that it will provide about the same photo quality. The specs of the Pixel 3 Lite are supposed to include a Snapdragon 670 processor and a notchless 5.56-inch display. Google released the Pixel 3 flagship less than three months ago, proving once again that a single optically stabilized camera with a good aperture and a generous sensor/pixel size can work wonders in the realm of mobile photography, especially when it is also helped by good software. Now, an early video review shows that the upcoming Pixel 3 Lite can provide about the same image quality. The aforementioned video review apparently comes from Ukrainian tech website Andro News (Russian language), but its YouTube channel only features three videos so far. Even more, the website itself does not feature the Pixel 3 Lite review yet, so all the info in the review should be taken with a bit of salt for now. The essential parts of this Pixel 3 Lite review are: the image quality is on par with that provided by the Pixel 3, the phone is made using plastic, and a traditional 3.5 mm audio jack can be found at the top of the device. The list of specs confirms most of the recent Pixel 3 Lite leaks: Qualcomm Snapdragon 670 processor, 4 GB RAM, 32 GB internal storage, 5.56-inch full HD+ display without a notch, 12 MP main camera, 8 MP selfie shooter, 2,915 mAh battery. As far as the launch date goes, the reviewer mentioned this spring, after the Google I/O Conference that is scheduled to take place in May. If he is right, then the Google Pixel 3 Lite should hit the market before the end of May.